We all try to keep our kids busy in more or less the same ways: TV/Ipads/toys… What about other, more creative ways? This kit is for just that – it provides ideas for creative yet simple arts & crafts activities that can easily be done at home. Children as young as 3 can enjoy this kit with guidance. 10 years + will work independently. 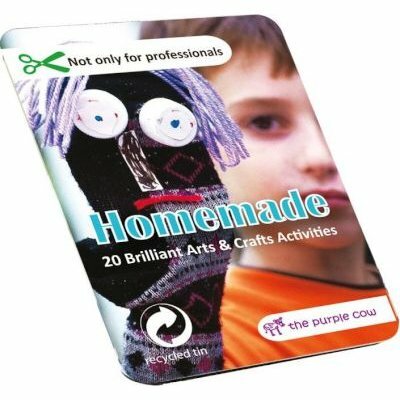 Some activities in the kit: spiral decorations; fine paper-mache; paper collage; wool dolls and much more…. Suitable for Age: 3 Years and older.